LIFESTYLE. Here is a gorgeous home and garden setting near to Hastings and close to local country schooling. This impressive Hawke's Bay lifestyle features this spacious 6-bedroom family home originally built in the 1950's with subsequent additions and renovations completed. Master bedroom with a modern ensuite plus two family bathrooms - one on each level. The open plan kitchen, family and dining area, plus large lounge room flow beautifully out through French doors to the enormous covered patios, making this a fabulous home for entertaining. Upstairs, the second lounge room is the perfect area for the kids to entertain themselves away from Mum and Dad. The grounds are simply superb with feature ponds and landscaped gardens, which also provide excellent shelter and privacy plus an impressive home orchard. There are opportunities here to create some grazing areas for a pony if you wish; and the large swimming pool, floodlit grass tennis court and separate studio plus the superb amount of shedding are all the extras one would expect with such a special property. 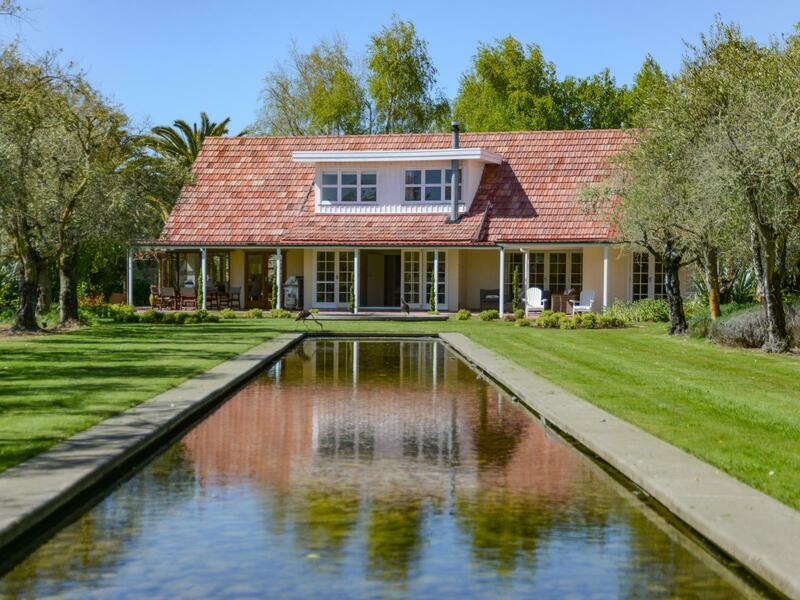 So - if you are searching for a family friendly lifestyle or looking for a business opportunity such as wedding photography or homestay, this Hawke's Bay property is well worth consideration.